Boxycharm October 2014 Spoiler #2! I'm excited for this one! Boxycharm has released their second spoiler! Actually, they released it yesterday but I was flying into Houston, TX when they did that so here it is late! 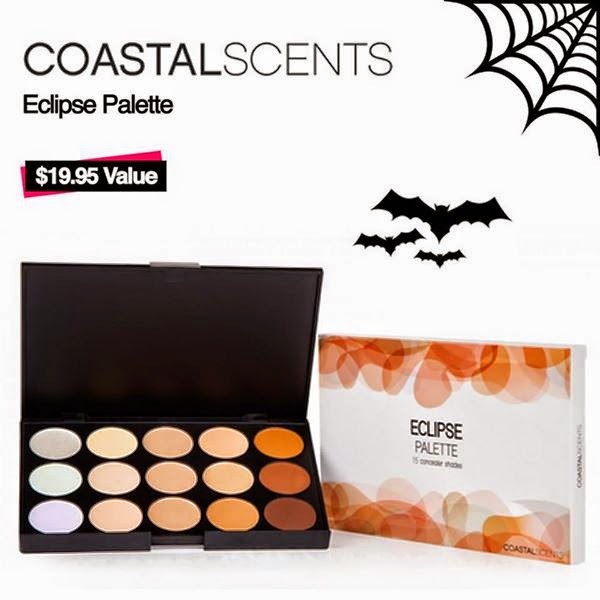 This spoiler is the Coastal Scents Eclipse Palette! I am so excited about this because I don't have a concealer/highlighter palette and I can't wait to experiment! Neutralize under eye halos, conceal blemishes, banish breakouts, and reduce redness with fifteen cream-based shades. Designed to conceal, highlight, and custom blend to your skin tone, watch your flaws magically disappear. Think of this palette as your Fairy Godmother for a Flawless Face! So what do you think of that!? If you want to see the first spoiler for Boxycharm, you can find that here. If you want to sign up for Boxycharm, you can do that right here. It's possible they are still on a waitlist but you'll get off this month if they have enough boxes for everyone. The sooner you sign up and get your name at the top of the list, the better!